Made with transparent glass that has undergone specialized tempered-glass treatment, our premium glass screen protector is made to protect your phone's screen from scratches and other external damages. PRESERVE YOUR PHONE INVESTMENT AND MAXIMIZE RESALE VALUE. Engineered with precise laser-cut tempered glass, the screen protector can successfully withstand elements, as it is absolutely shock-proof, explosion-proof, anti-scratch and pressure-resistant. Made to protect you and your watch - if it does break, the tempered glass breaks into small pieces that stick together, making it safer for users. Superior, edge-to-edge coverage that keeps all phone ports unobstructed. 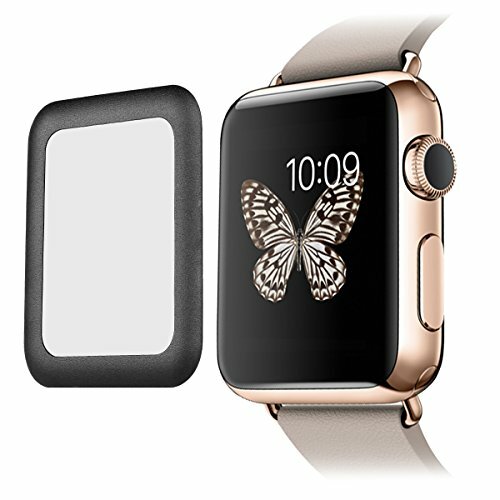 CLICK "Add the Cart" button and purchase the SUPTMAX Apple Watch Screen Protector now! Designed for Apple Watch Series 1 Only. ▲For Series 2, please search for Asin: B06XBZX3DD. ▼For Series 3, please search for ASIN: B075TV2ZKY (42mm), ASIN: B075V22W73 (38mm). If you have any questions about this product by SUPTMAX, contact us by completing and submitting the form below. If you are looking for a specif part number, please include it with your message.